Japanese paper work studio "Keijusha"
Etchu-Yatsuo's stencil dyed Japanese paper by the studio "Keijusha"
Beautiful miscellaneous goods made of Japanese paper using a Japanese traditional technique and "Owara Kaze-no-Bon", a fantastic festival with a history of about 300 years will make your visit to Japan unforgettable for the rest of your life. Toyama, a small prefecture located in the middle of Japan, facing the Japan Sea. 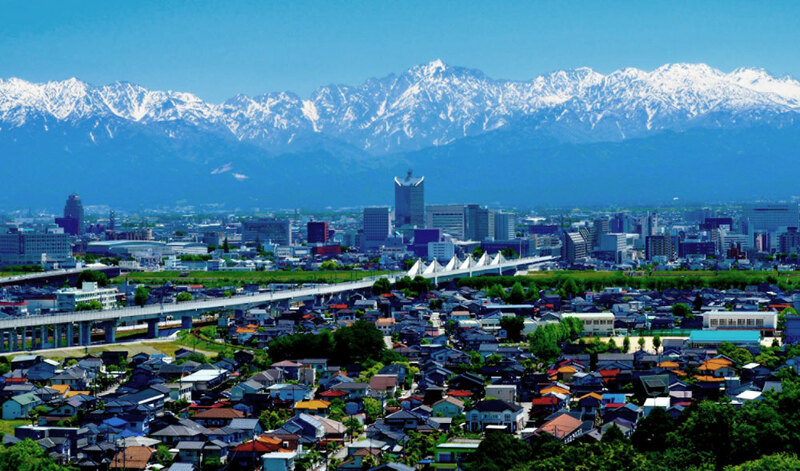 One of Japan's most eminent, beautiful and magnificent terrains, the Tateyama Mountain Range, can be seen from this town, Yatsuo, which is located on the border between Toyama and Gifu. It is a town with a traditional atmosphere, having a lot of sloping roads on which old Japanese-style houses, stoutly built against heavy snowfall, stand in a row. 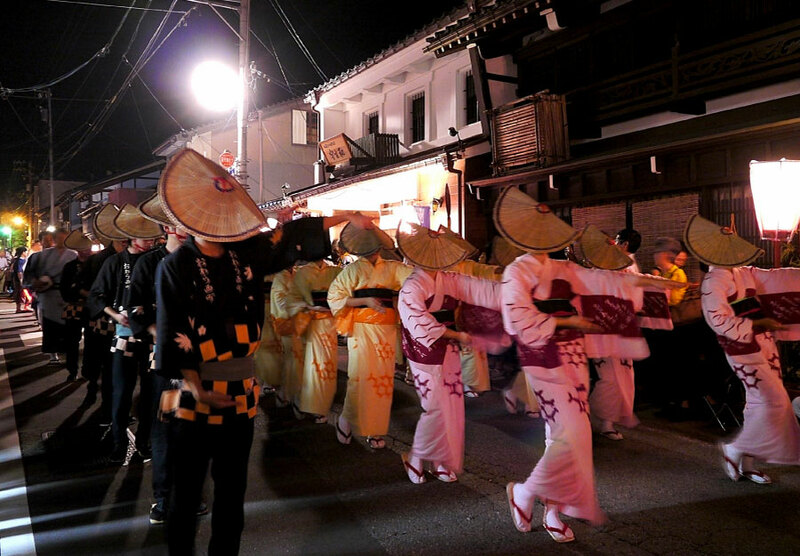 This town has a fantastic festival called "Owara Kaze-no-Bon" that takes place from September 1st till 3rd each year. It is the representative festival of Toyama, with a history of about 300 years and attracts numerous sightseers both domestic and foreign and intoxicates them with its charms. How did Yatsuo' Japanese paper industry come into being? The Japanese paper industry in Yatsuo is said to have started in Muromachi period（1336 ~ 1573）．As one of the leading towns along the trunk road, Yatuso flourished through trade with Hida district, sericulture and production of paper for it, and production of wrapping paper for the nation-wide famous "Toyama Medicine". At its golden age, from the Edo Era to the beginning of the Meiji Era in the 19th century, many people were engaged in papermaking by handwork in their homes. Yatsuo Japanese paper was expected to be unbreakable because it was used as package for expensive medicine and at the same time it should look brilliant. It had to be thick and stout so that it could be impervious to water and the label printed on the surface would not be smeared. With the advent of mechanized manufacturing of paper, Japanese paper industry in Yatsuo gradually declined. At the beginning of the Showa Era (around 1930), there was a boy captivated by the beauty of Yatsuo's Japanese paper that was on the verge of oblivion. It was Keisuke Yoshida ( 1915－2014), founder of Keijusha. 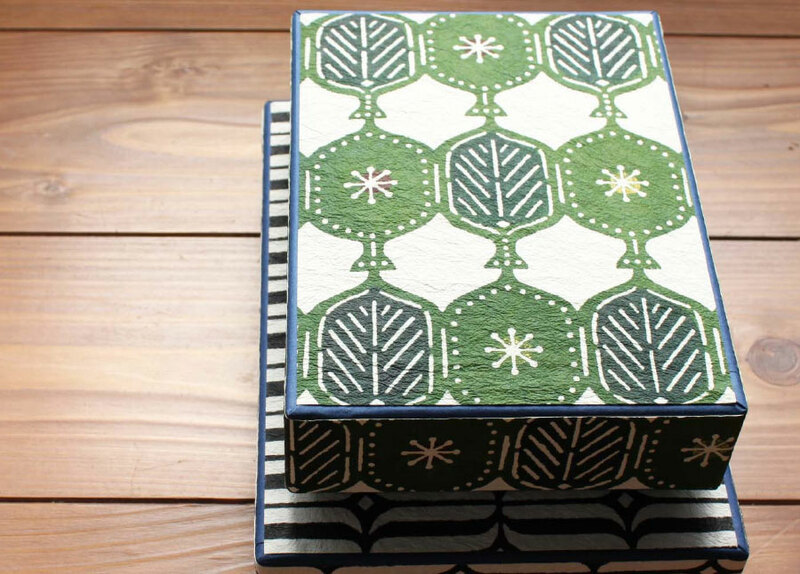 "I want to disseminate the beauty of Japanese paper." With this passion in his mind, he founded a studio in Yatuso and kept company with up-and-coming artists and busied himself with disseminating Japanese paper. However, as modernization led to mass production of paper by machine, papermaking by hand became more and more obsolete. Around this time, a new current made its appearance in Japan. The Mingei Undo, or the folk art movement, by Soetsu Yanagi (1889—1961) . It was an unprecedented movement to attach irreplaceable beauty to disappearing Japanese popular culture dwarfed by the modernized Western culture. Yoshida visited Yanagi and rediscovered the traditional beauty in Yatsuo's Japanese paper. He also got acquainted with Keisuke Serizawa (1895—1984) who contrived a technique called stenciled picture dyeing which is designated as an intangible important cultural property. And this encounter was instrumental in realizing the beautiful stencil dyeing that is a characteristic of the present Yatsuo's Japanese paper. It was Keisuke Yoshida who succeeded in making it a reality: hand-made Japanese paper strong and impervious to water, which was Keisuke Serizawa's wish. The exchange of those two giants bore fruit: the beautiful Yatsuo's stenciled paper with its splendor and warmth that appeal to Japanese people's soul. 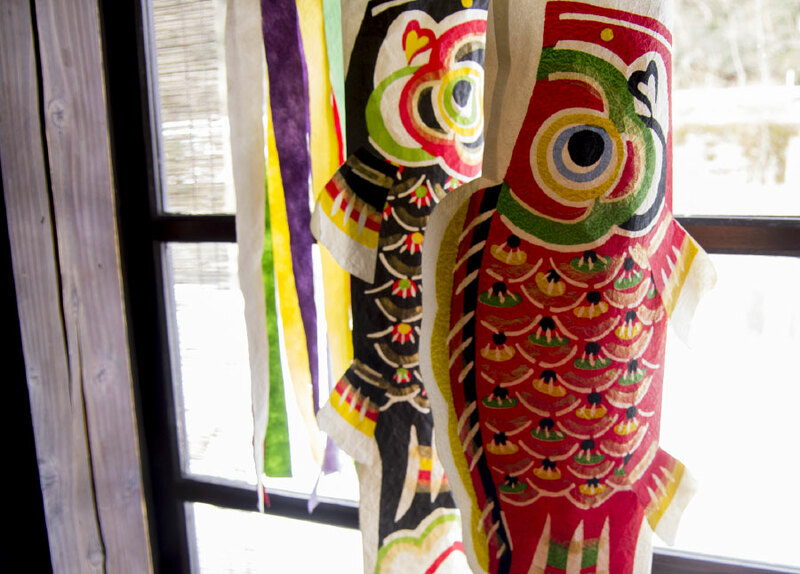 Once on the brink of disappearing, it has become an unparalleled traditional handicraft product by incorporating actively the designs that have been handed down from generation to generation in various parts of Japan. The designs of the artist, Serizawa, are still used in calendars at present time, which are coveted by many fans. Colorful stencil dyed paper with delicate designs is used for miscellaneous goods such as letter boxes, pen holders and business card cases, making everyday life richer. Some of those goods are sold at department stores and general stores in Tokyo, appealing to the people who set the trend of the new era. 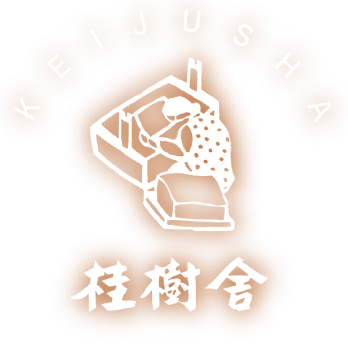 Keijusha's products have sometimes been introduced in trade fairs abroad: Paris, Millan and Taipei. 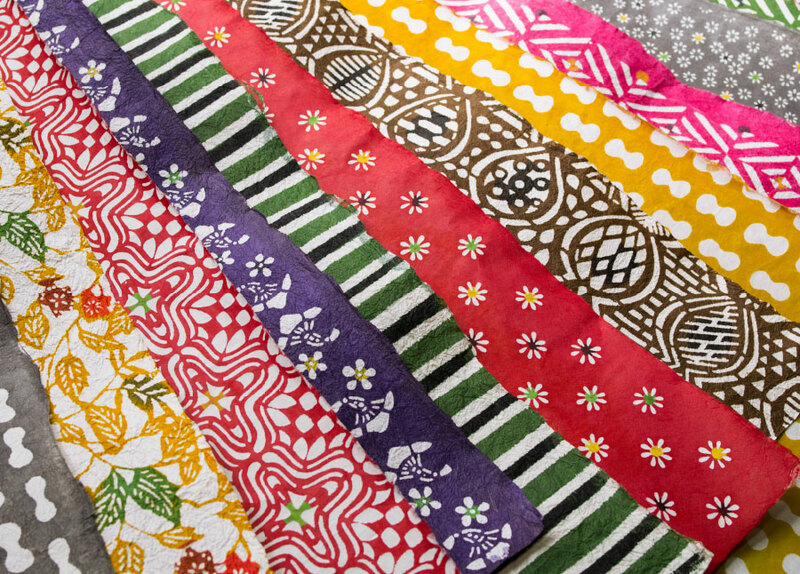 Keijusha's stencil dyed paper is, even now, manufactured manually at every process and completed with extreme care. Because of original waterproofing and stain-proofing technique, the paper has durability which is unthinkable as paper. Here you can feel "tradition and beauty" along the line of the history of Japan. Do come to Yatsuo to have first-hand experience. Yasuki Yoshida, representative of Japanese paper work studio, "Keijusha"
Copyright © KEIJUSHA, All rights reserved.